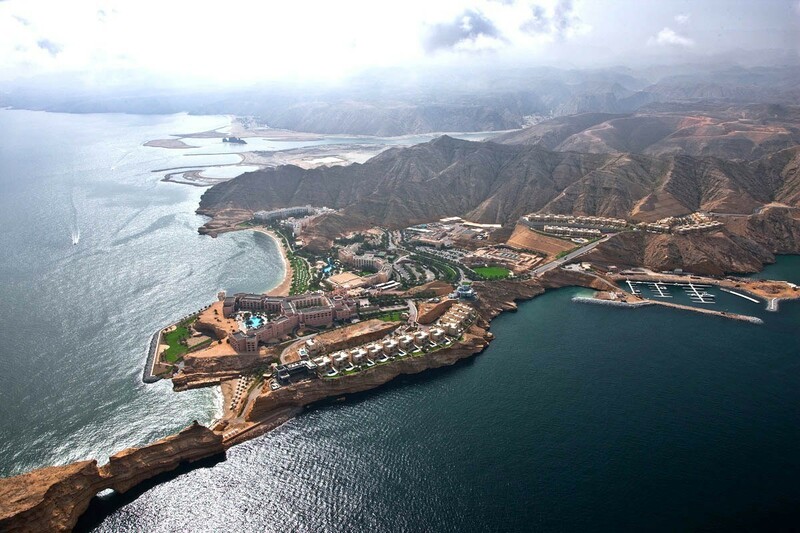 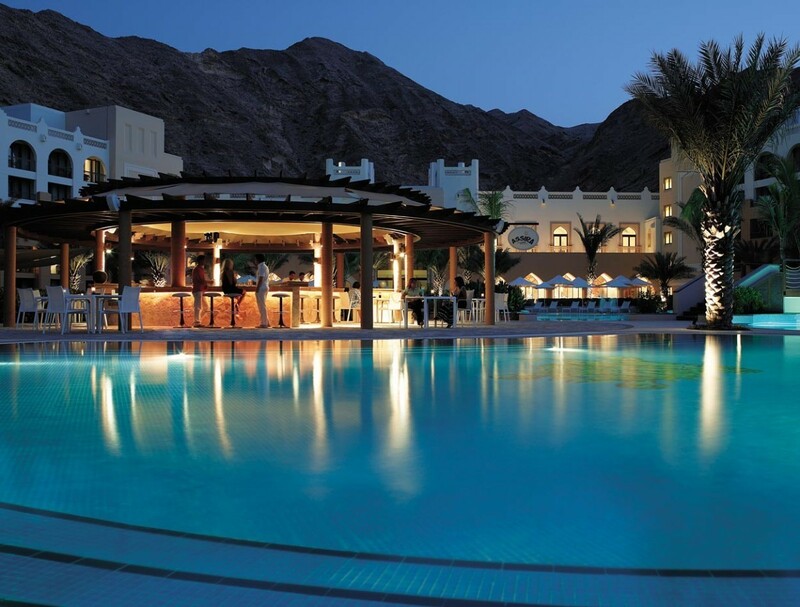 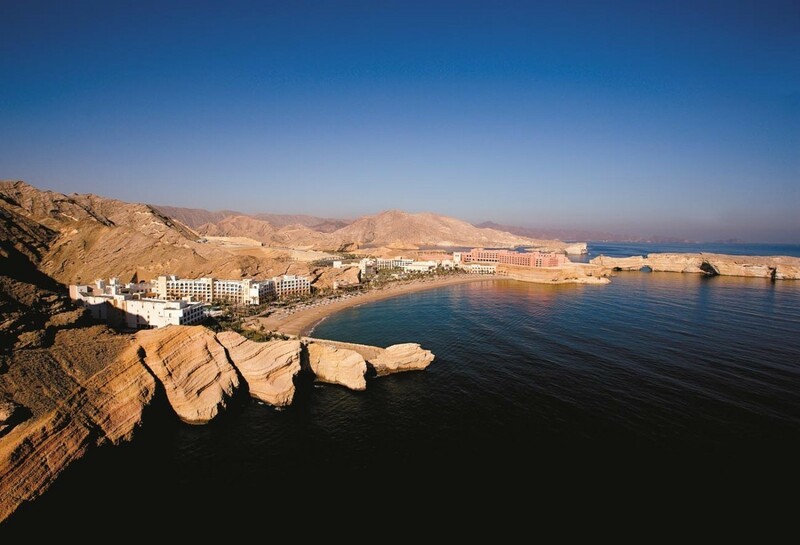 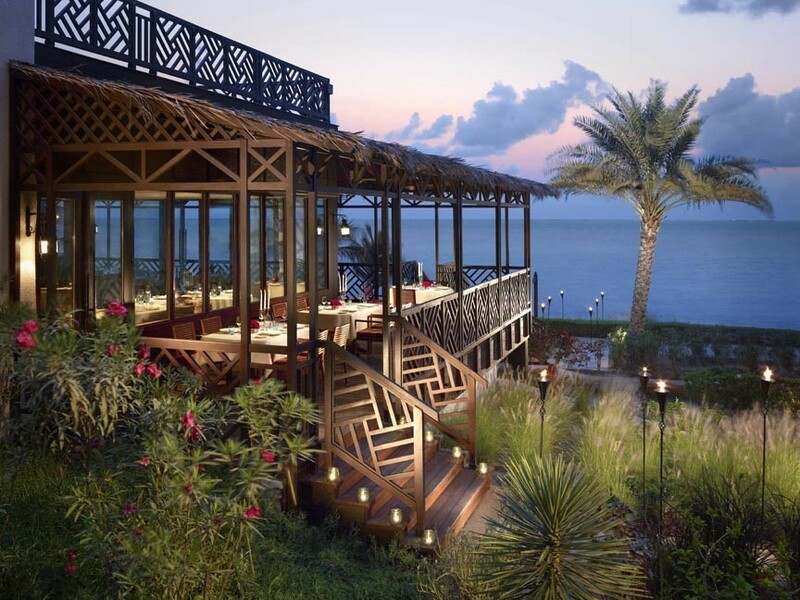 A popular destination for weddings, Oman reflects the beauty and romance of these occasions with its majestic mountains and crystal clear blue waters. 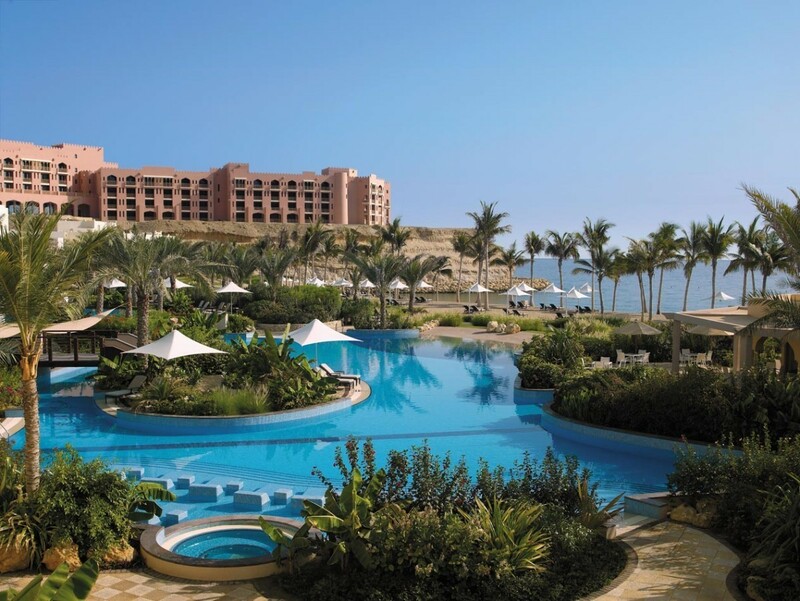 Nestled within this stunning landscape, Shangri-La Barr Al Jissah Resort & Spa is an award-winning hotel with a truly unique setting to create an unforgettable wedding for you and your guests. 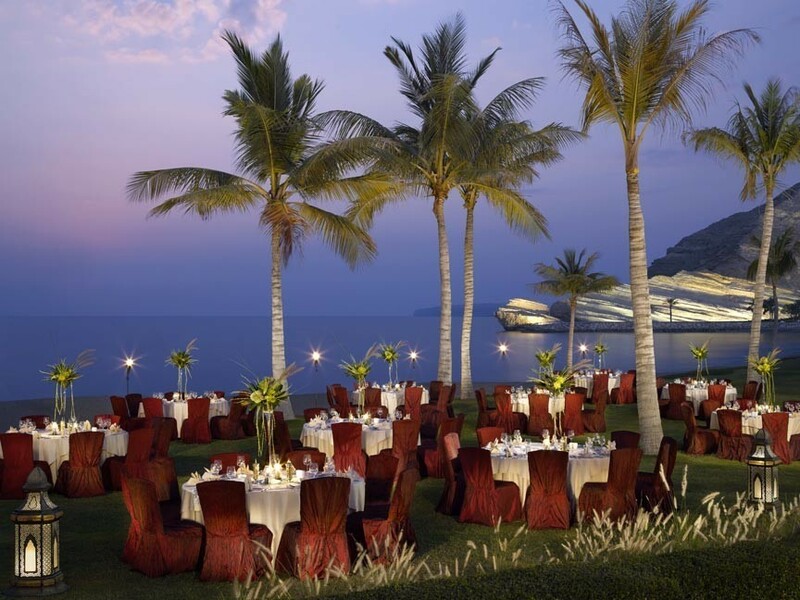 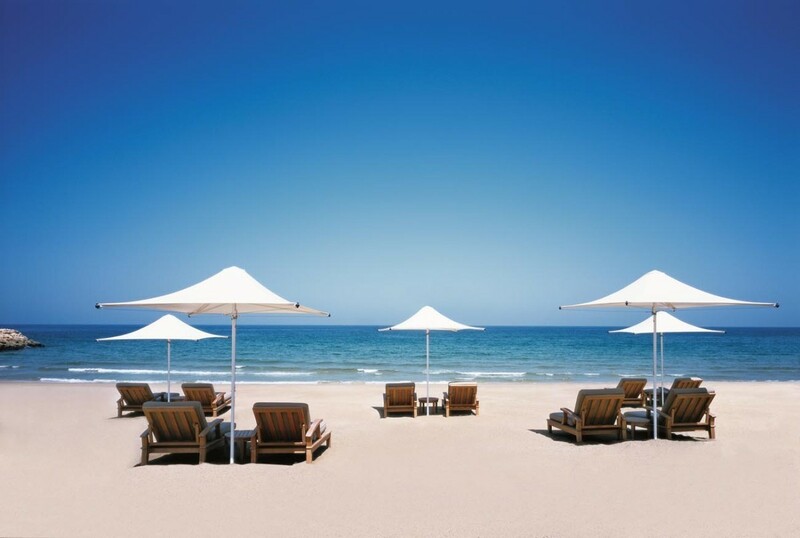 Shangri-La Barr Al Jissah Resort & Spa caters up to 1,000 guests with its private beaches and a multitude of outdoor venues, while providing a team of experienced event specialists, memory makers, chefs, and a banqueting team dedicated to making your day just how you envisioned it – unforgettable. 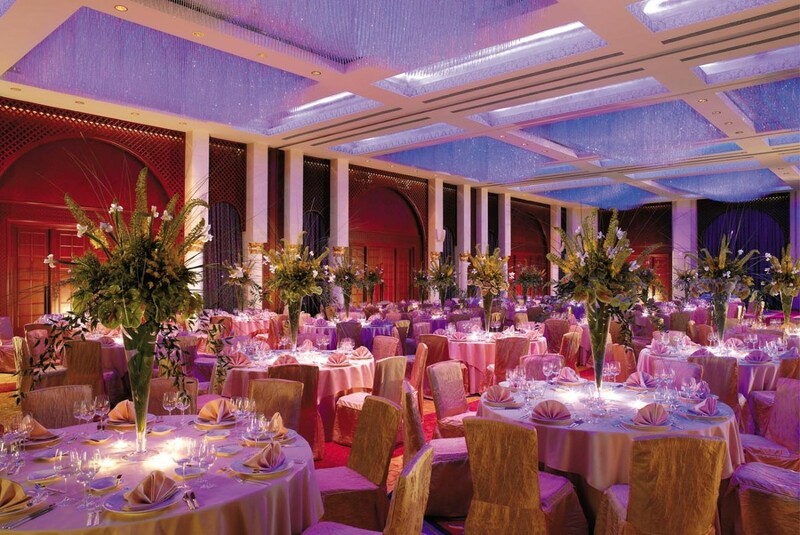 Our resort has an oasis of venues that are ideal for weddings, from outdoor to indoor, including the 1,056 square metre Barr Al Jissah Ballroom featuring nine handmade chandeliers made of 46,656 single Bohemian crystal strands and a large pre-function area that can accommodate up to 600 guests. 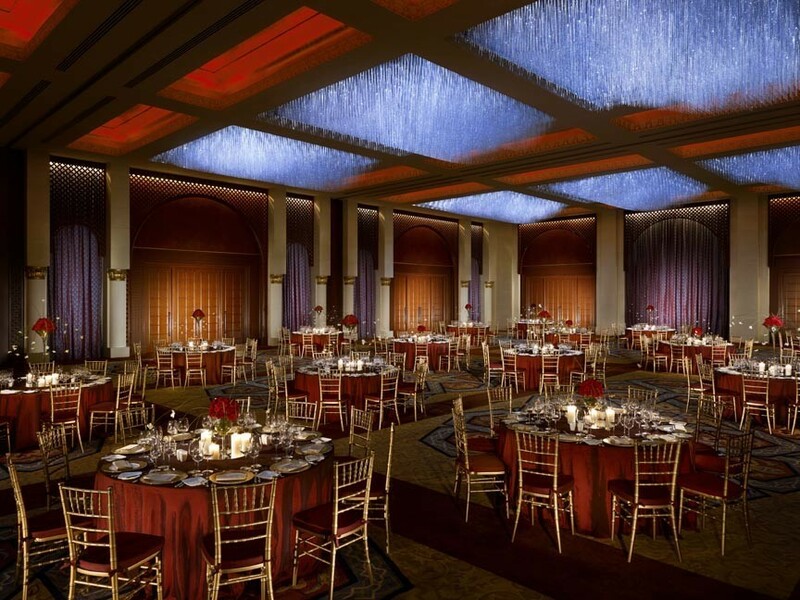 Our magnificent ballroom is always complimented with the latest in audio-visual equipment. 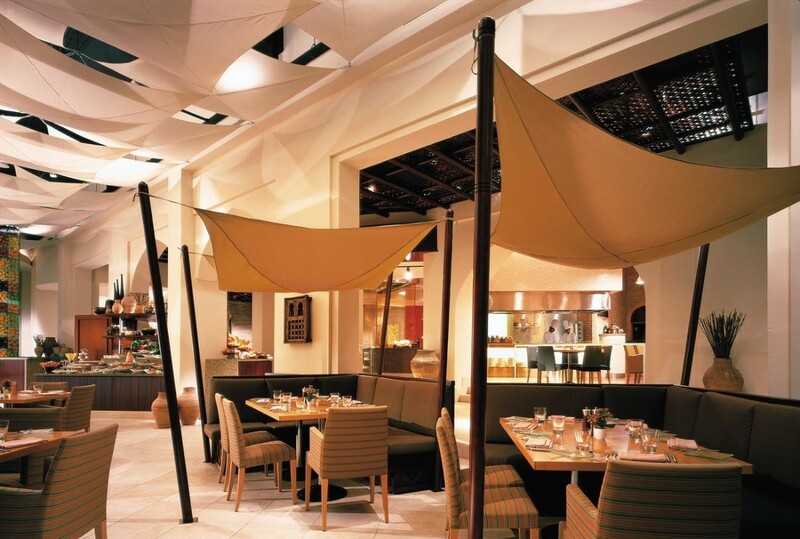 Our expert chefs and banqueting team will ensure that all your culinary requirements are met. 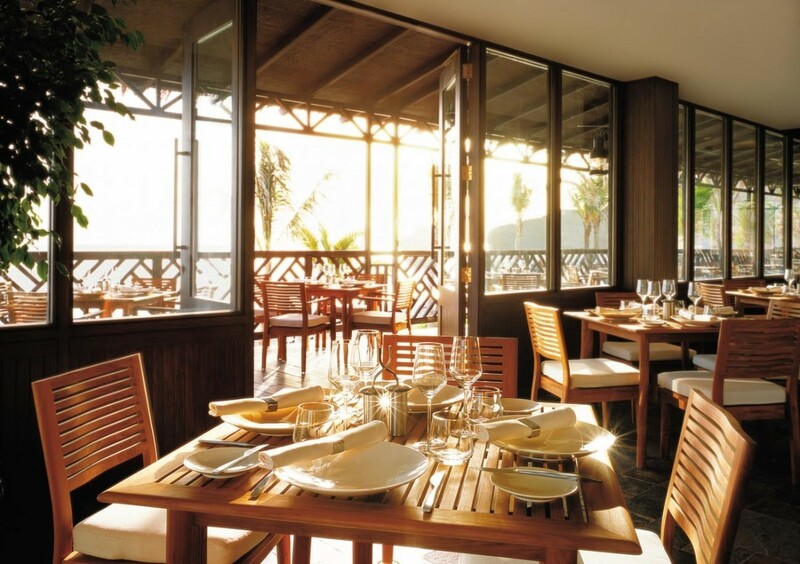 The range of available menus caters to all preferences. 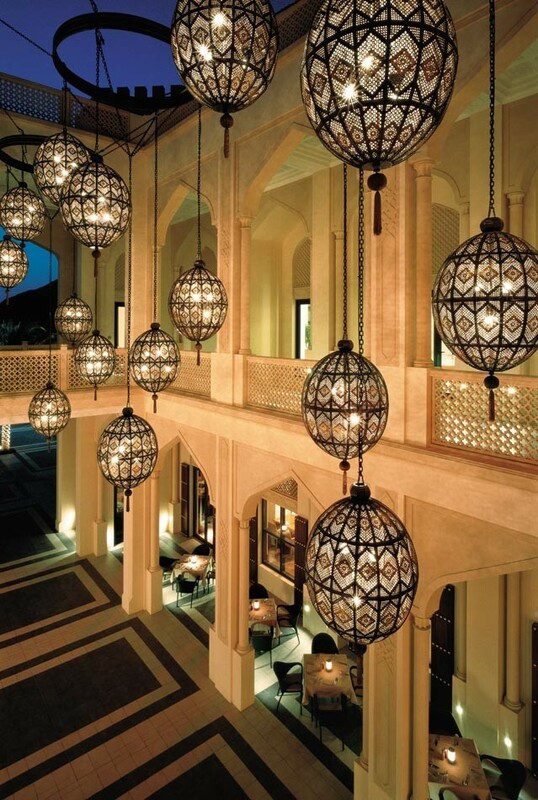 Bespoke options are also available from our experienced team that can tailor and create packages to meet and exceed the highest of expectations. 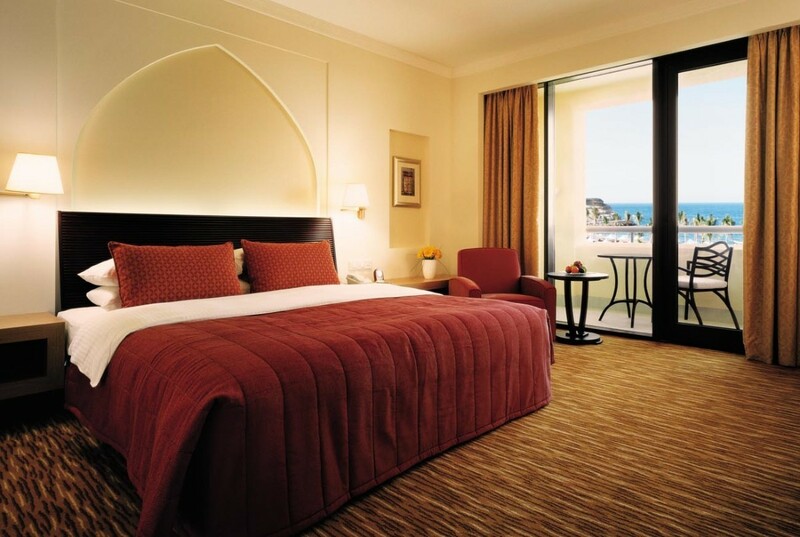 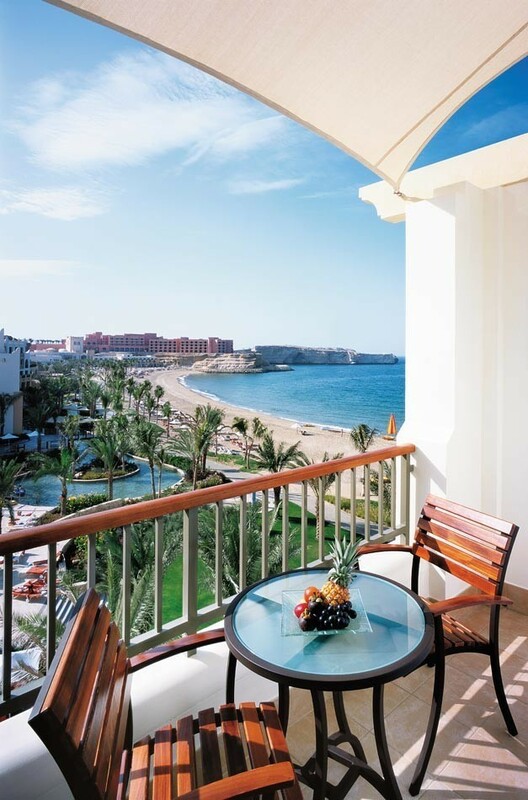 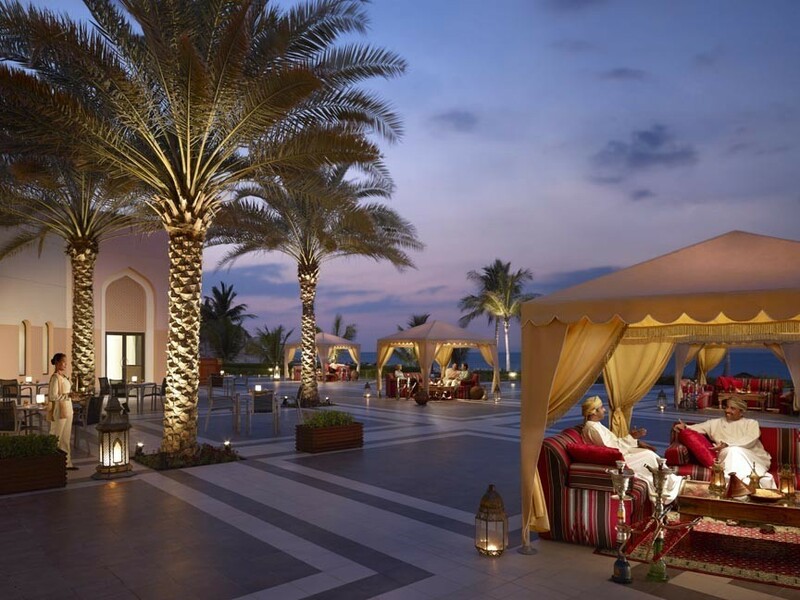 Shangri-La Barr Al Jissah Resort & Spa is a haven for couples whether they want an unforgettable honeymoon or dream setting for a wedding or romantic blessing. 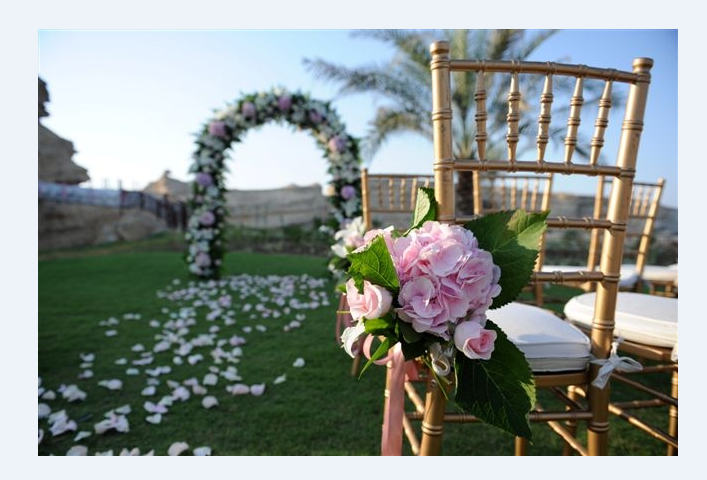 Specializing in elegance, versatility and convenience, the resort works closely with wedding planners to turn dreams into reality creating lasting memories for lifetime of romance. 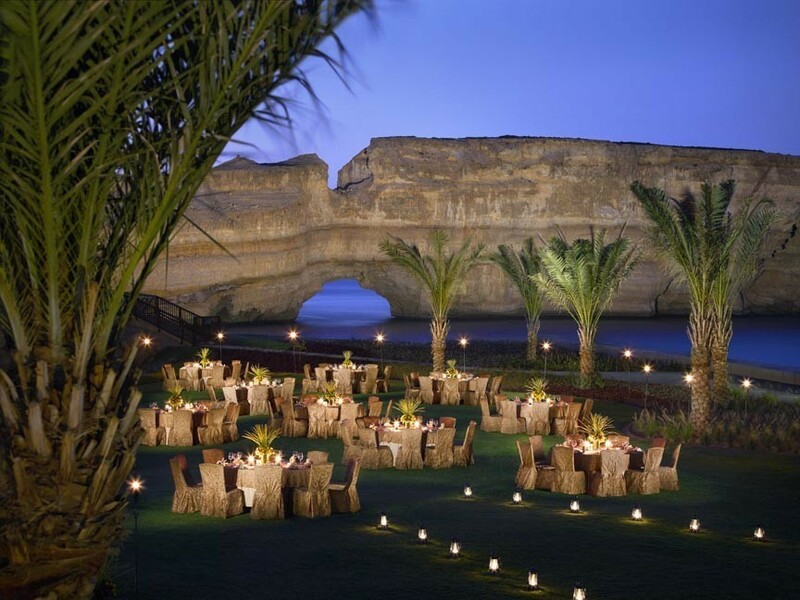 Shangri-La Barr Al Jissah Resort & Spa offers 15 wedding locations and venues tailored to suit couples and guests from all cultural backgrounds and beliefs.